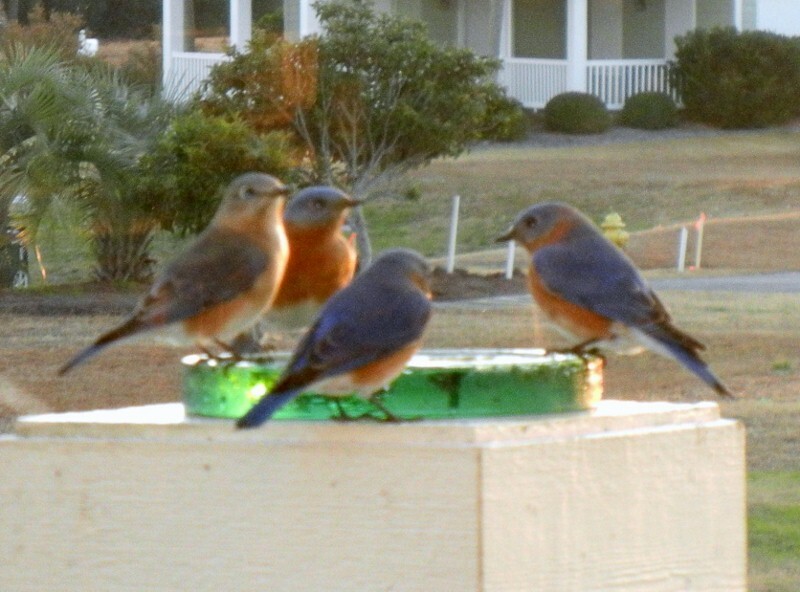 We have been feeding a family of 7 bluebirds, on our back porch. This is the family that was born in the bluebird house, also on our back porch, this last summer. This picture of 4 is the most I have been able to photograph at one time.